After finishing runners-up in the previous edition, the Kalinga Lancers lifted the 2017 Hockey India League trophy after defeating Dabang Mumbai 4-1 in the final at the Sector 42 Stadium in Chandigarh. Irrespective of what the scoreline may seem to suggest, it was an intense and hard-fought game and was decided only when Kalinga captain Moritz Fuerste converted from a penalty corner situation in the penultimate minute of the match. The German spoke to the press after the encounter, explaining how his team stepped up when it mattered the most. “We reached the final last year and knew that we had the quality to go out and win the trophy this time around. We didn’t change much and instead focused on building a strong group dynamic in the team. In such games, it is important to put in your best performance and I’m glad we were able to do that,” he said. He applauded Dipsan Tirkey, who was part of the India side that won the Junior Hockey World Cup last year, stating that there is no player in the world at his age who is as good as him. “India has a bright future in the coming years. I have no doubt that they will be in the top three of world hockey in ten years,” said the two-time Olympic gold medalist. The Kalinga Lancers had finished second in the league standings after their first ten games and defeated the UP Wizards in the semi-finals in a penalty shootout that went to sudden death and saw Fuerste miss from both his efforts. Mumbai reached the finals via a narrow 2-0 win against the Delhi Waveriders. After a tense first quarter, the Lancers took the lead through Glenn Turner in the 18th minute as he scored with a diving effort. They extended it soon after in the 30th minute with Fuerste putting a drag-flick from a short corner to David Harte’s left and into the net. Just three minutes later, it was 3-1 after Affan Yousuf deflected in a square pass from a deftly carried out penalty corner variation. The Mumbai side pressed hard for the equaliser and in the 57th minute, they made it three goals each, only for the goal to be disallowed following a video referral. They then went to earn three penalty corners in a row but failed to convert from either. With little over a minute to go, the Lancers counter-attacked and earned a short corner of their own. Captain Fuerste stepped up once again and dispatched it into the back of the goal with a thunderous flick to seal the win and the Hockey India League title. The Kalinga Lancers picked up their first ever HIL crown after missing out in the final last year. They picked up a prize money of Rs 2.5 crore, with runners-up Mumbai taking home a sum of Rs 1.25 crore. 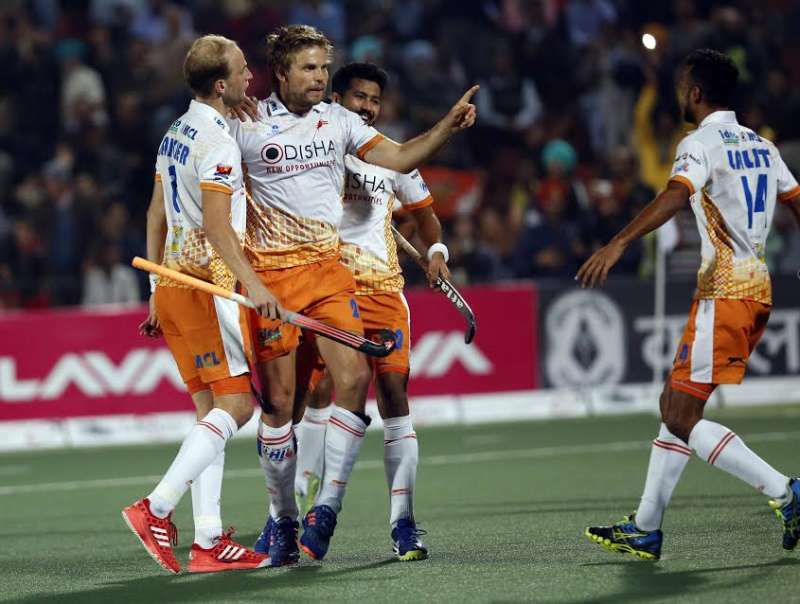 The Hockey India League drew to a sparkling conclusion after what was a truly thrilling final. The side from Odisha were deserving winners in the end, scoring at the right time and defending superbly in the face of extreme pressure from the opposition. Fuerste’s words are a sign of great encouragement for hockey fans in India and one can only hope that his prediction about the Indian players and team comes true in the years to follow.